The retelling of the Hans Christian Anderson story The Princess and the Pea. 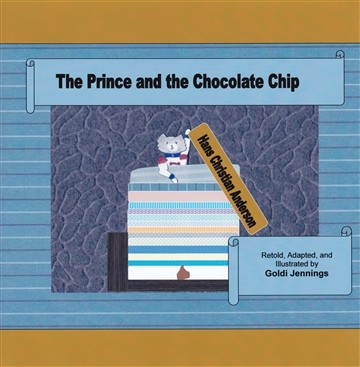 This is the story of the Prince and the Chocolate Chip. Goldi is a former elementary education teacher. She has a passion for education, kids, God, and cats. Goldi is currently working on her Master's Degree in General Psychology. She wants to specialize in the emotional needs of gifted and talented kids.